The cardiovascular system greatly benefits from this type of activity. Running improves cardiac efficiency and it regulates the blood pressure, fighting hypertension while keeping low the cholesterol (it increases the “good” HDL cholesterol and it lowers the “bad” LDL). Running, when it is practiced without training overload and using the right shoes, can be very good for knees and ankles because it strengthens ligaments and cartilages. Running helps to release stress and anxiety. By practicing it, the body is stimulated to release endorphins, a neurotransmitter associated with feelings of pleasure and well-being. It prevents depression. Jane Greer, a psychotherapist, from Huffington Post pages shows how a couple that makes exercise together can improve their love affair. Both partners, running close to each other, develop synchronicity, cooperative spirit and they share the same passion. In addition, the race released endorphins improve mood and they stimulate sexual desire. Running regularly also means stimulating the production of neurons and their industry in that part of the brain essential for memory, the hippocampus dentate gyrus. This happens because of the oxygen that the runner exploites better. Soon after starting you can notice immediately how the body begins to dispose extra pounds. It accelerates metabolism and physical activity burns fat needed to provide the energy to run, avoiding its accumulation. The race is very effective in burning calories. According to experts, an hour of intense racing allows you to burn 700 to 800 of them. Running prevents obesity. 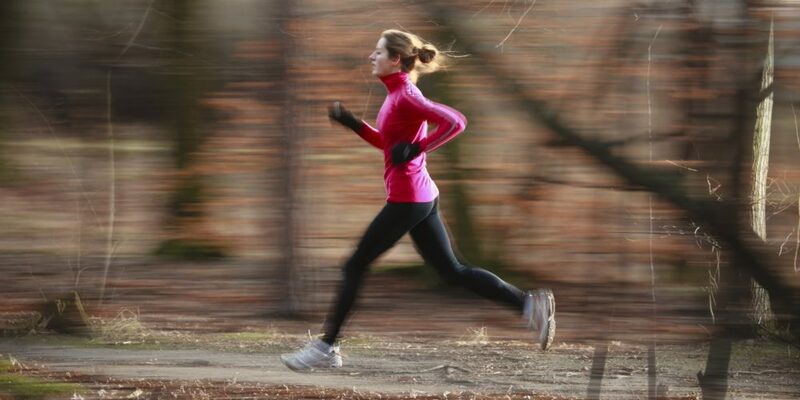 The bones of the runner become stronger, because this sport helps the mineralization of bone. Running 15 minutes for 3 times a week reduces the risk of osteoporosis by 40%. This comes from the increase of serotonin that occurs during the run. Serotonin is a neurotransmitter involved in many functions, for example to regulate mood, appetite, sleep, memory and learning. Running regularly acts indirectly on some of the risk factors for cancers: contrasts overweight, raises the immune system, reduces both the level of insulin in the blood and some of several hormones involved in the onset of tumors. A Stanford University School of Medicine study on 538 runners and 423 people who do not run (all above 50 years) followed for 21 years (1984-2005), showed that, at the end of the study, 85% the runners were still alive, while 66% of those who had never raced had died.